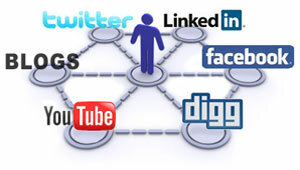 Social media optimization is where the real or potential customers are! Social Platforms like Facebook, MySpace, YouTube, LinkedIn, Digg, Flickr and lots more offer you a great range of customers already distributed or communalized according to their needs and desires. These social media platforms have the maximum internet traffic driven and of course you don't want to miss out your share from such a large Internet traffic. Our social media marketing help you to give best results without violating any search engine ethics. We have a unique and inventive strategy for social media optimizations that lets you have the best interactions with your audiences and customers. Social media marketing is pretty effective and based on the most modern SMO tactics and techniques.